Adams Auto Group is committed to excellence – but we are also always looking for ways to improve. Let us know how well we hit our mark of perfection by rating us below. We appreciate you taking the time! Mark was a fantastic salesman. The process was fast and painless. The car was very clean and we were so happy to find it. Very pleasant experience! My name is Peter Gillespie, Had an outstanding sales experience with both Mark and Amir! Very seamless, forthcoming and willing to go the extra mile to serve the customer. Refreshing and much appreciated! 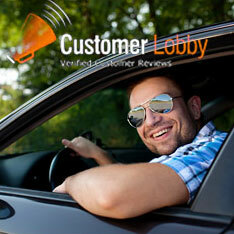 Robert was very helpful and helped me feel comfortable with my purchase. Was able to reason and get me exactly what I came here for. I shopped around and nobody could get me approved.These guys james and Jose did and I am very very happy with my car.I got the payment and down payment that i wanted.